The Vegetarian Experience: Please Vote for Me in the MADS! So it's been almost a year since me and my new blog dipped a little toe in the big pond that is the world of blogging. Over the last year I have learned so much, met so many lovely people and have had lots of wonderful opportunities. I have also had the chance to blog about what life as a Vegetarian is like - from the food I cook and eat, to my experiences of eating out as a vegetarian in a restaurant, to my experiences of parenting and lots else in between. I would really hope that my readers have enjoyed reading my blog and seeing the food I blog about. 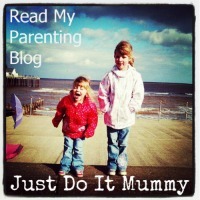 The third annual Mum and Dad Blog Awards is now accepting nominations. Last year I was lucky enough to go to the MAD Blog Awards via a golden ticket and rub shoulders with all of the fabulous bloggers who were nominated. It was a wonderful night and the whole buzz leading up to and after the awards was exciting too. I don't often blow my own blog horn or tell people outside of the blogging community and my family and close friends about my blog, but I would be very grateful if you would vote for me in the MAD awards. Maybe you like my blog as a whole, or you particularly liked a post that I wrote. You could vote for my blog in the Best MAD Food Blog Category, the best new MAD blog, or in another blog category. The nominations are open for the next few weeks so please do nominate if you think that my little blog is worth an award. You can only nominate once, but you can nominate different blogs in all of the different categories, or you can vote for the same blog in more than one category. Click on the badge, or visit here to nominate and enter your details and my blog URL if you would like to vote for me.